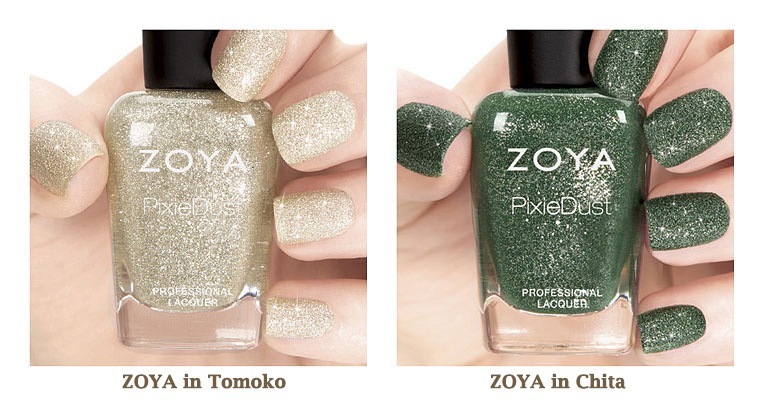 Zoya in Tomoko: described as a romantic champagne silver with a matte, textured, sparkling metal finish. 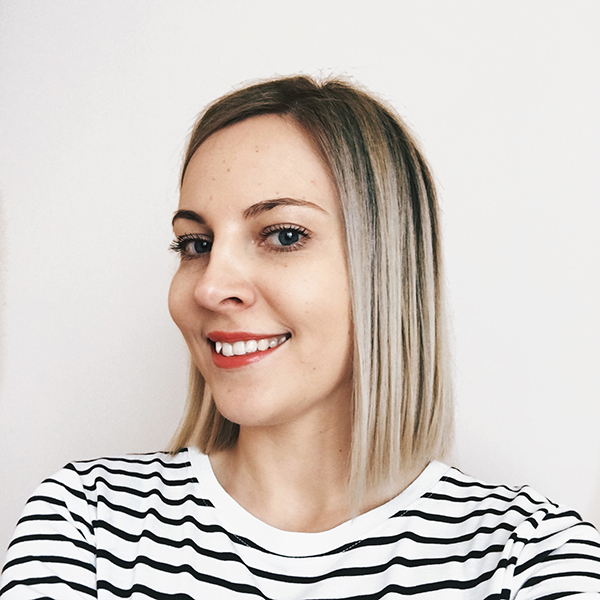 Zoya in Chita: described as a forest green in a matte, textured, sparkling finish. 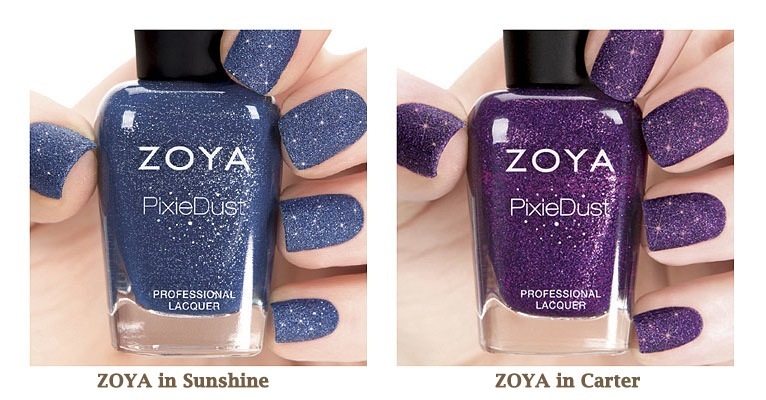 Zoya in Sunshine: described as a “Van Gogh” navy blue in a matte, textured, sparkling finish. Zoya in Carter: described as a royal purple in a matte, textured, sparkling metal finish. Zoya in Arabella: described as a rich fuchsia pink in a matte, textured, sparkling finish. 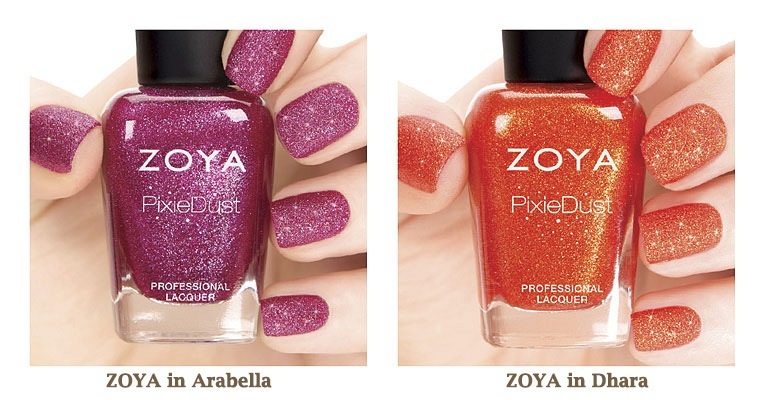 Zoya in Dhara: described as an orange copper with a matte, textured, sparkling metal finish. 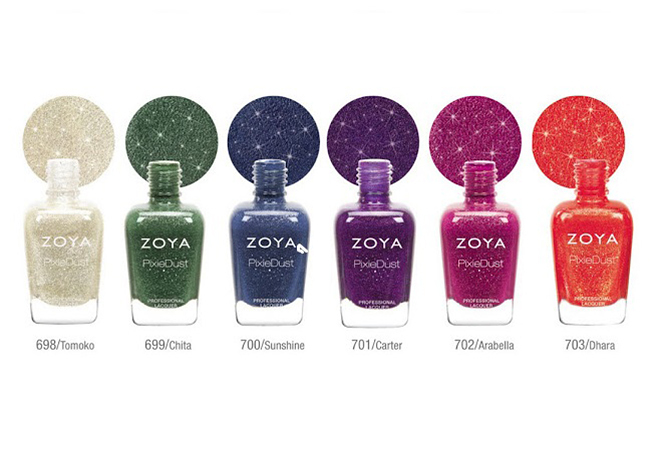 PixieDust Collection can be found at Zoya’s official website or its stockists. I think Carter and Arabella are stunning!